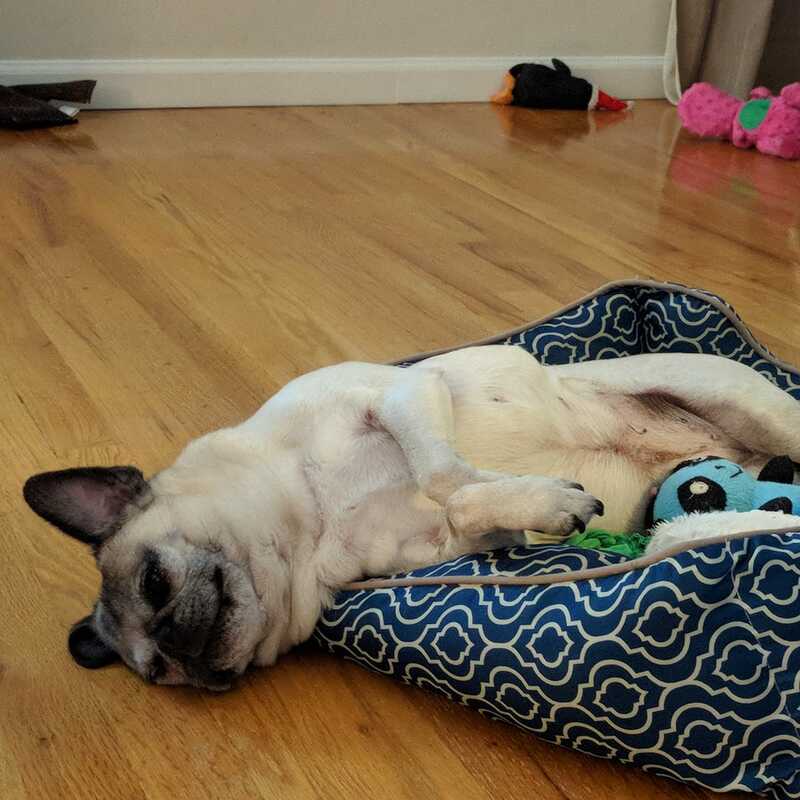 We’re pretty sure that Nickie the pug is dreaming of chasing 肋肋肋 here. Goodnight everyone! Just a cute little squish-faced pug lounging in bed with her squashes! 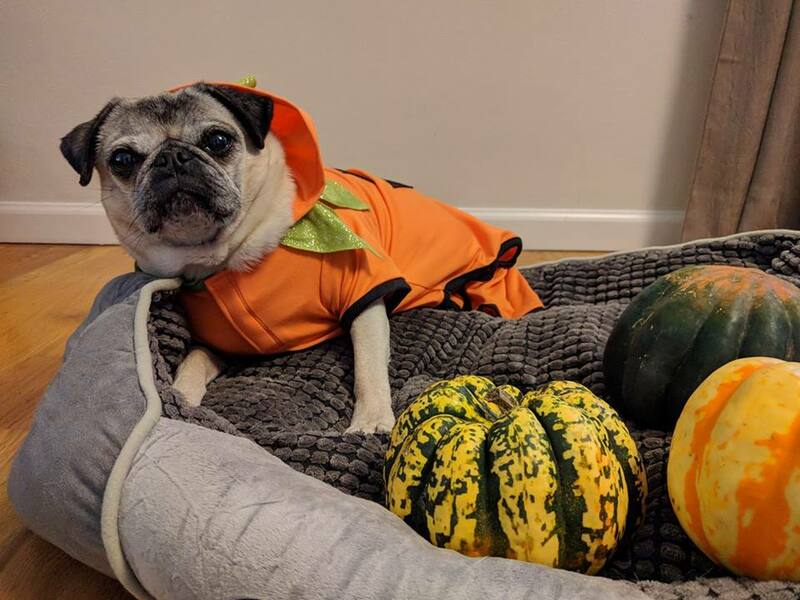 Nickie the pug has come to terms with the squash take-over and is getting ready to accept her new pumpkin friends as napping companions. Nickie got all excited about dinner today… but then she remembered she already ate dinner. You can definitely see the disappointment written all over her face! We woke up thinking it was just a normal Monday, but then we remembered it was one of our favorite days of the year! 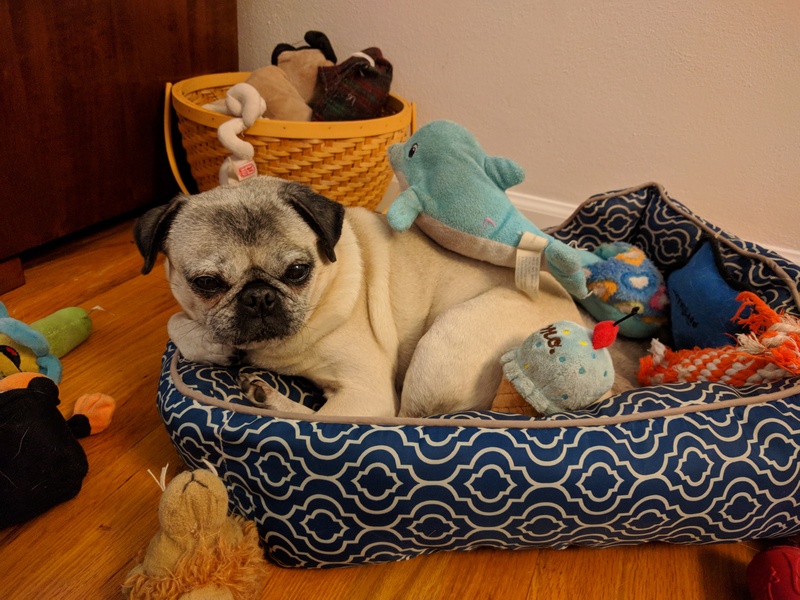 Nickie the pug has been celebrating National Pug Day so hard that she needed to take a break with some of her stuffed friends. We’re sending lots of love to all of the fantastic pugs out there! If you want to pamper your pug with an extra special surprise for them every month, check out Pug Box! We deliver a wonderful assortment of tasty treats, fun toys, and cool pug-themed items to our pug friends every month. Learn more at https://www.pugboxes.com. 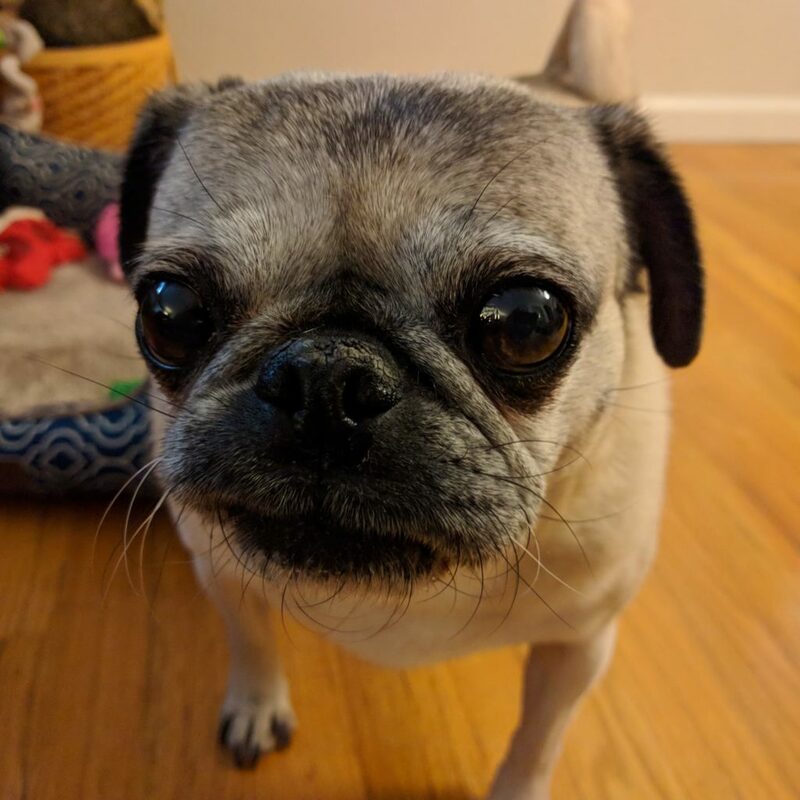 Nickie the pug has an impressive level of focus once she sets her mind to a task! Here she is chewing away on her Nylabone, completely oblivious to her mom who would really like to get her attention. 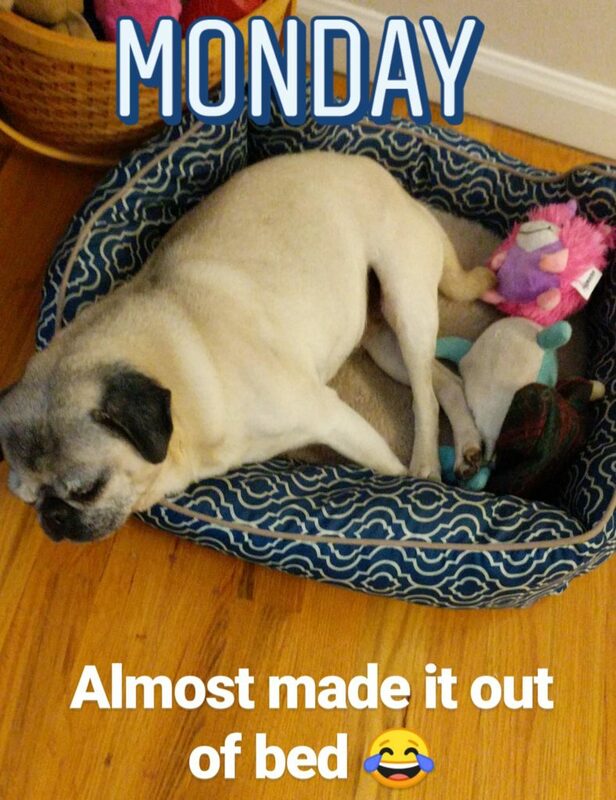 Nickie the pug is great at many different things. For example, she is highly skilled in looking adorable, she is an expert eater, she can fall asleep anywhere, and she can out-snore our grandpa. However, there are a few things that Nickie is downright terrible at. These include being patient and telling time. When she decides that it’s probably dinner time around 3pm, there is no way of convincing her otherwise. Here she is, persistently inquiring about dinner. 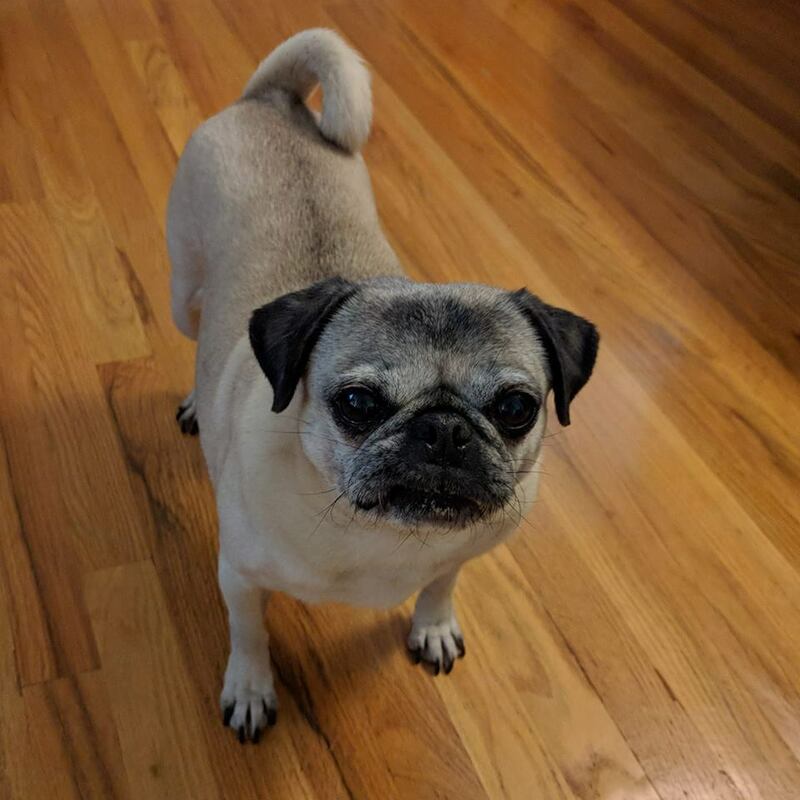 Nickie the pug is always up for snack time! She can hear a crinkling treat bag from across the house, and when she does, she comes running as fast as her little legs will carry her. Here she is awaiting her sweet treat! 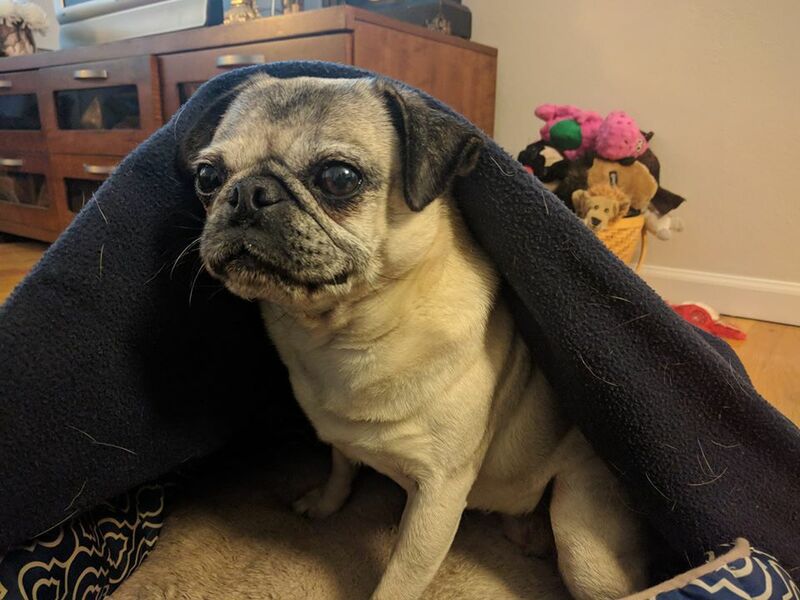 Nickie the pug is on clean-up duty! Don’t worry, the kitchen clean-up crew has arrived!!! Whenever we drop food in the kitchen, Nickie is there in a flash to help us out with cleaning it up. Here she is foraging for snacks in the kitchen. 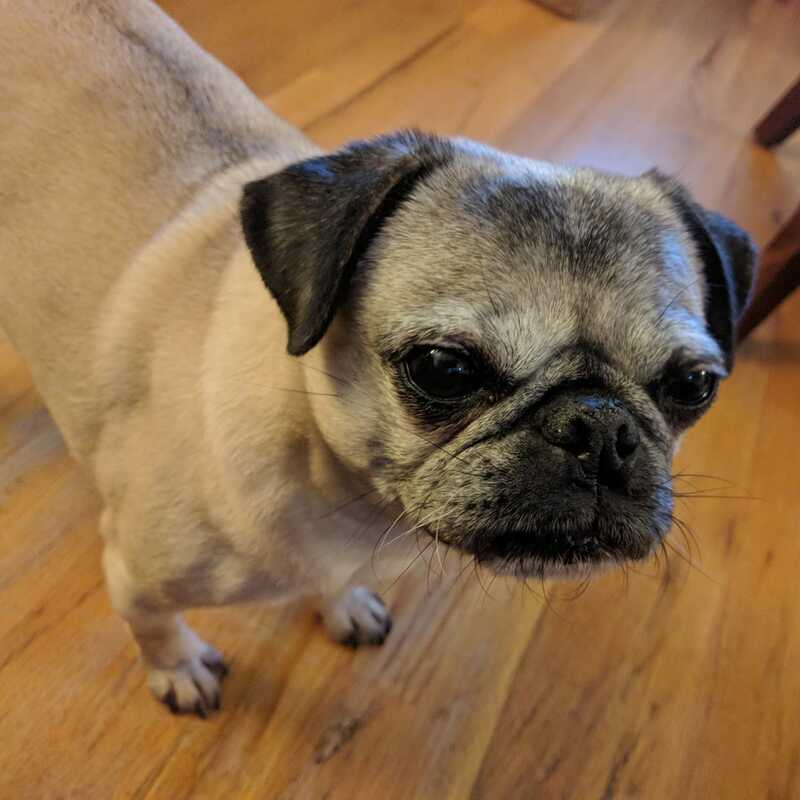 Nickie the pug scavenging for treats in the kitchen! Don't worry, the kitchen clean-up crew has arrived!! !